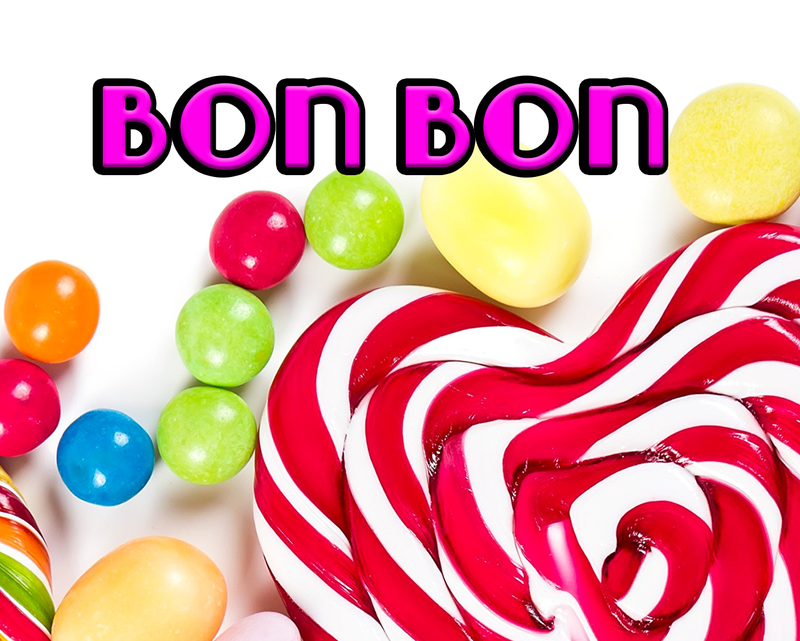 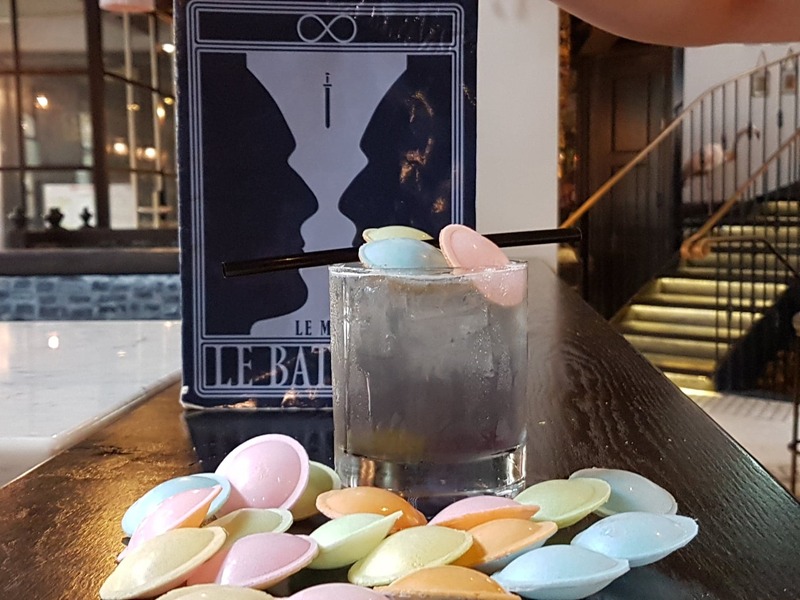 Based around the sweet tooth, Le Bateleur becomes a Willy Wonka lab of wonder. 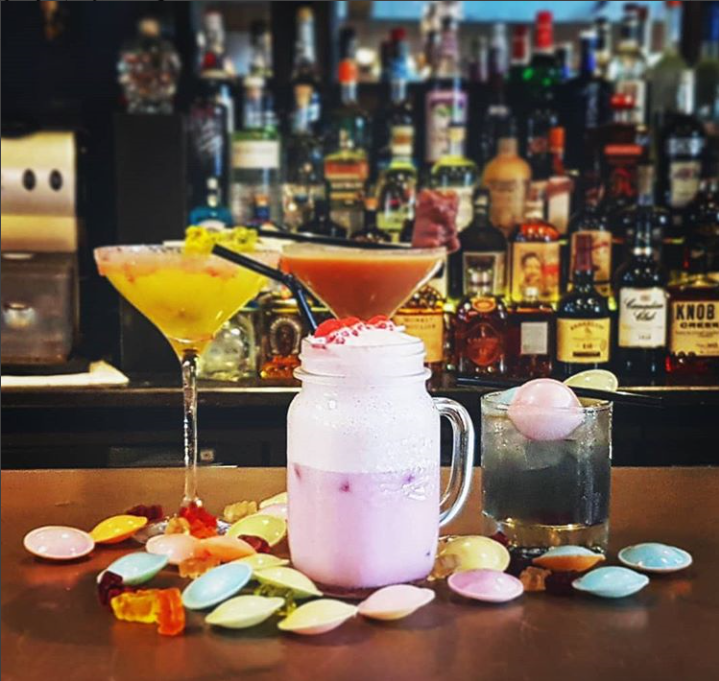 With sweet garnishes our special cocktails pay homage to the sugars, the sours, the flavours of childhood. 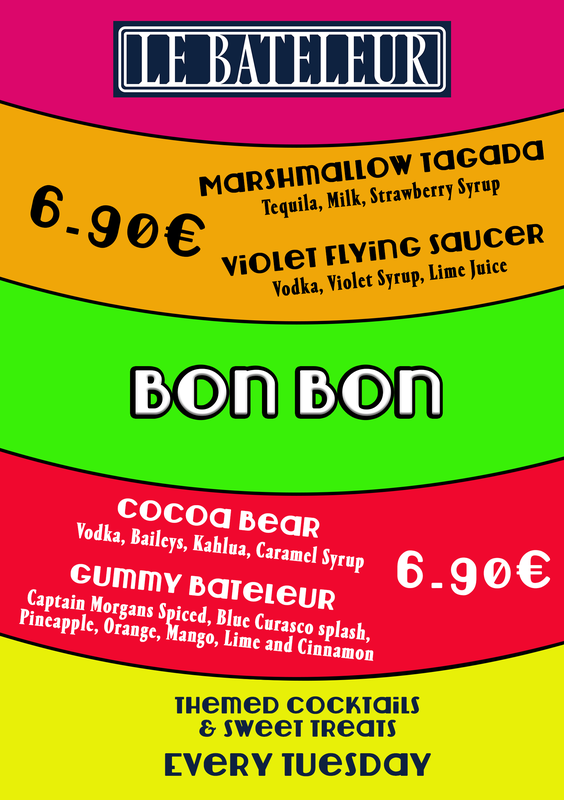 Four special creations each night for only 6,90 € !